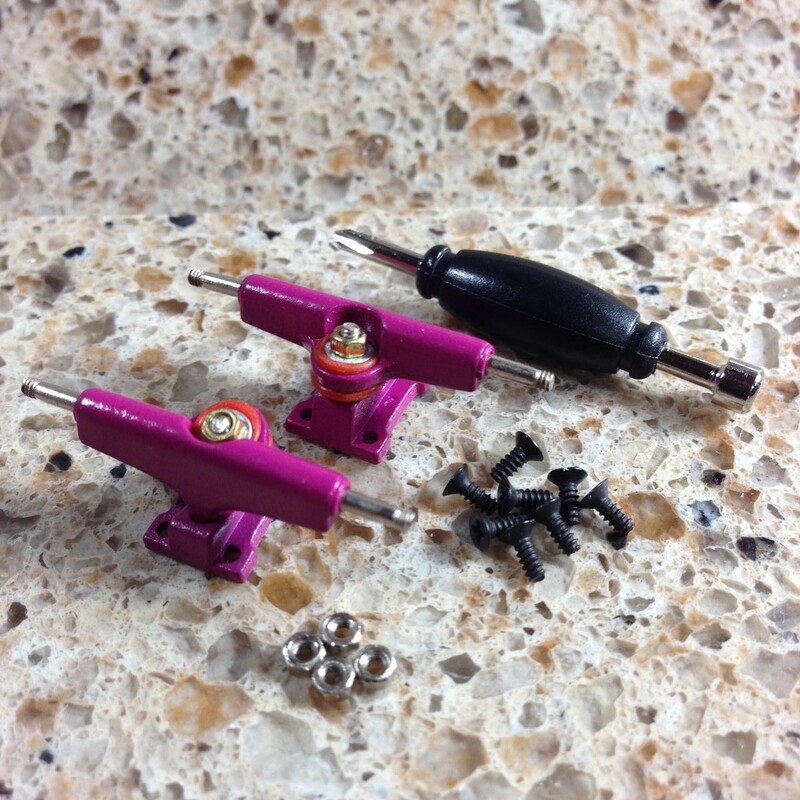 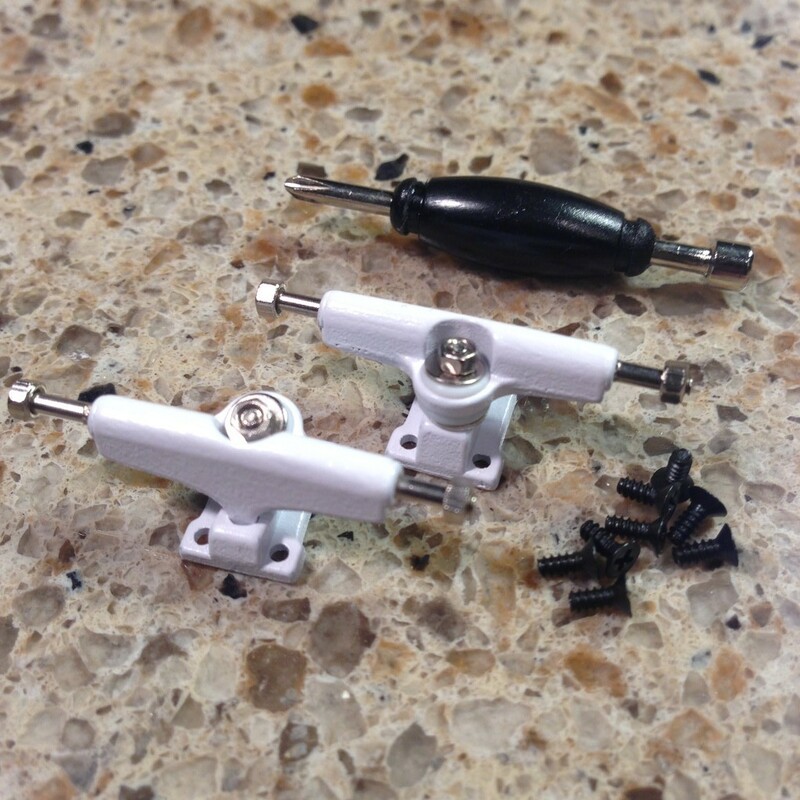 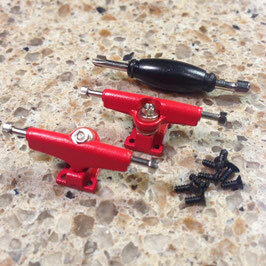 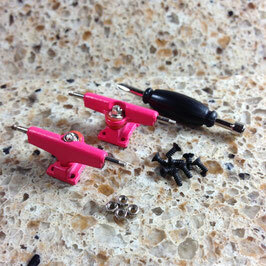 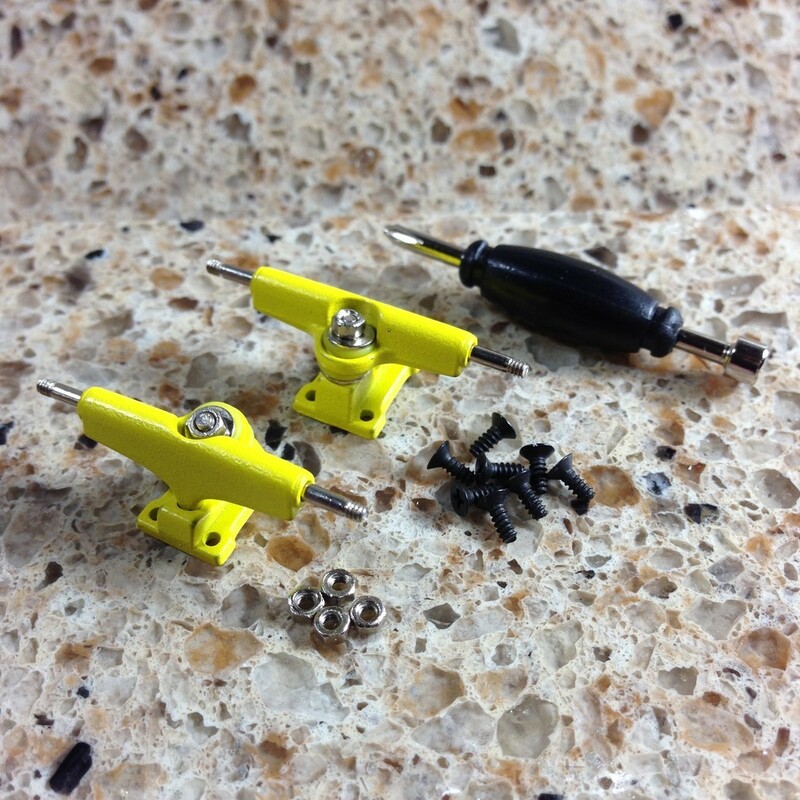 Upgrade your ride with these o-ring tuned fingerboard trucks at an insanely low price! ﻿2 stickers and 1 grip tape included! 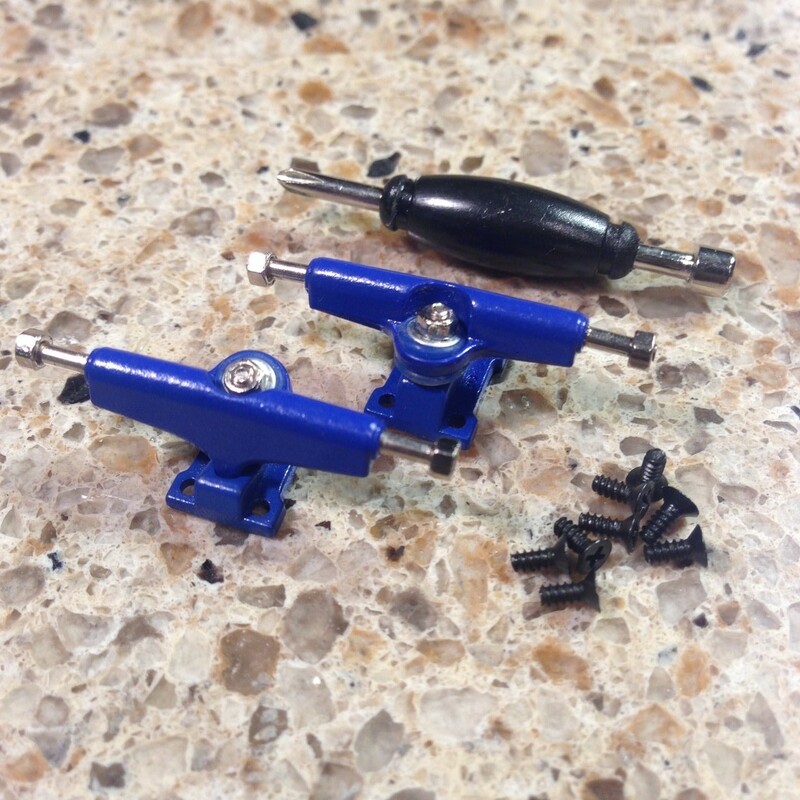 Check out these high quality performance blue wheel trucks. 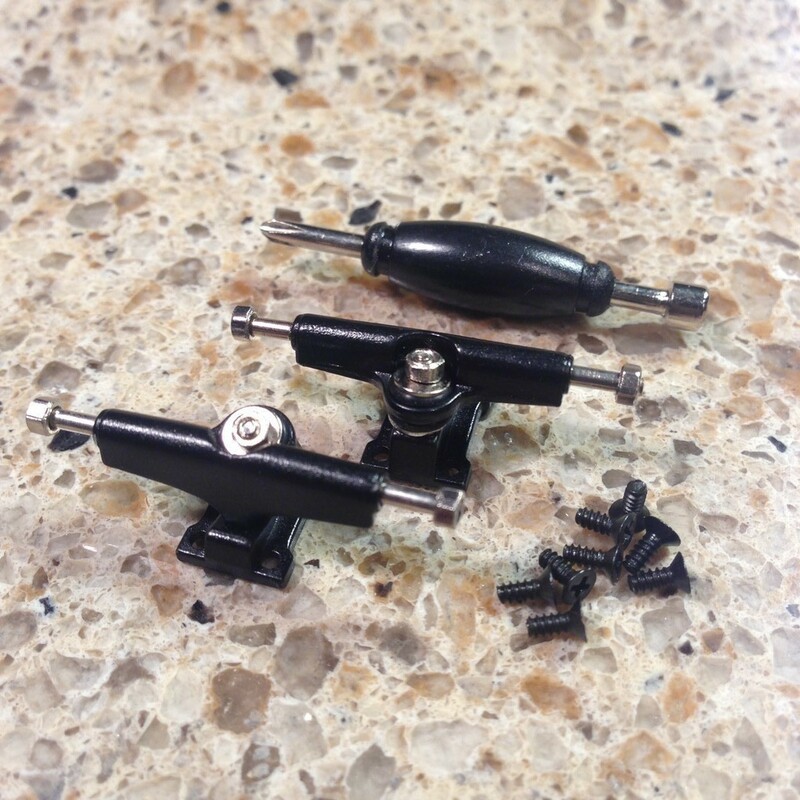 O-ring bushings for smooth handling. Upgrade your old and worn trucks with these for a professional feel. 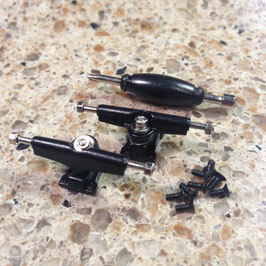 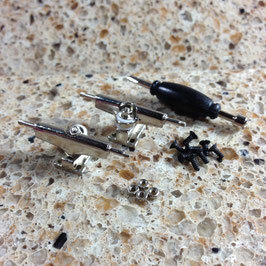 Set includes 2 wheel trucks, 8 mounting screws, 4 wheel nuts and 1 screwdriver/wrench tool. 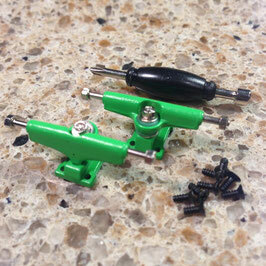 Check out these high quality performance wheel trucks. O-ring bushings for smooth handling. 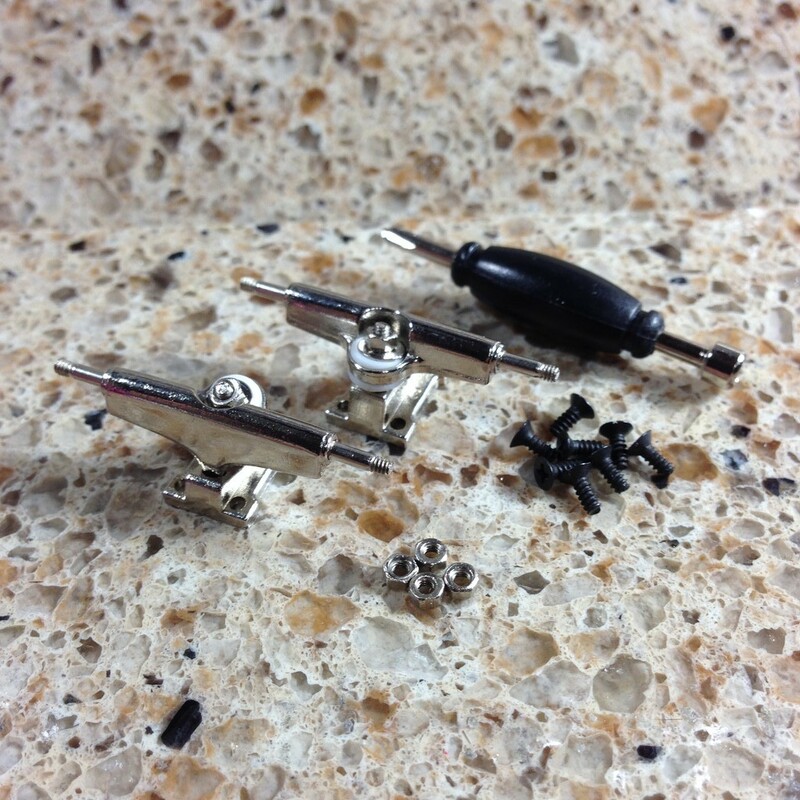 Upgrade your old and worn trucks with these for a professional feel. 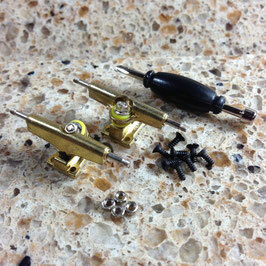 Set includes 2 wheel trucks, 8 mounting screws, 4 wheel nuts and 1 screwdriver/wrench tool.